I am really excited to announce that starting on Monday 11th March I will be able to offer weekly beginners classes. More details of these can be found on the Weekly Dance Classes page. However, not everybody can get to a class every week, or travel to Preston. But if there is a group of you wanting to learn some belly dance and give it a go then the Beginners Crash Course might be the answer. It is good for community groups who may want to try a new activity for a while, a hotel who wants to provide some entertainment or activity for their guests, a group of friends who want to work towards an end goal and just want to have fun! AND it's reasonably priced too! 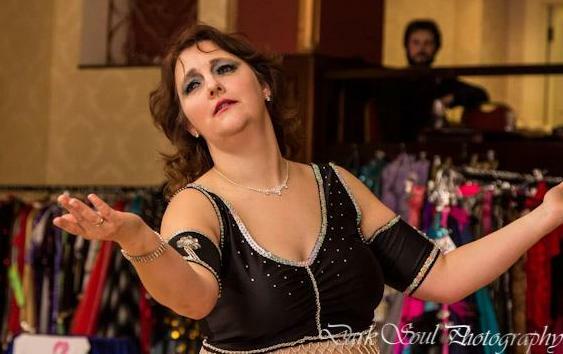 The Beginners Belly Dance Crash Course is designed for complete beginners and teaches students some of the basics in Egyptian belly dance. The course is made up of six hours tuition, and included in the price are class hand-outs and a free CD for all attendees. The six hours can be taught however you want, i.e. one hour a week for six weeks, or two hours per day for three days, or two hours on a Saturday for three weeks (examples only). It all depends on your timescale and requirements. I can travel to the venue of your choice or, if easier, I can possible organize the venue depending on where you are. The six-week course costs just £30 per person, but be aware that if I am travelling to you there may be travel expenses and/or venue costs to be considered. All costs will be discussed prior to booking and a full invoice will be provided upon agreement. If this sounds like something you could be interested in, please contact me. "Ive had the best time on the beginners crash course, so much fun! Thanks Sarah!"